There was something magical about the good old days, wasn’t it? People where connected to their kin and friends irrespective of the distance between them and mind you they did it all without any aid from technology. Be it posting letters, eagerly waiting for the postman to deliver the much awaited mail from your loved ones or the surprise of receiving one unexpected, oh there was a charm to it all! In our present fast paced world, we have somehow lost this magic in spite of having the luxurious access to technology. Our loved ones and friends are just a phone call, text message or an email away, yet we are so wrapped up in our apparent ‘busy lives’ that we often forget to keep in touch with them. Oh! How we wish technology also had a provision to constantly remind us to keep in touch so that we never ever loss contact with friends who were once the closest people to us. Well do not worry as there is a new app in town called Bond that will help you stay connected with your loved ones. Know the Mastermind and The Team Behind It! Manan Rokani is the proud founder of this start-up. He is a computer engineer with a Master’s in Management Information Systems. His past work experiences include a 7 year hitch in the tech space as a tech consultant for Fortune 500 companies. Manan is also an entrepreneur in the start-up environment. Presently, he is the product person of the start-up. The team also consists of two other developers who together have over 12 years of experience building apps. They’ve also worked with some big high tech companies as well as some of the best tech consulting firms. Get To Know Bond Better! We are living in a world that is more connected than ever before and yet we often fail to be in contact with our close acquaintances, friends and family. 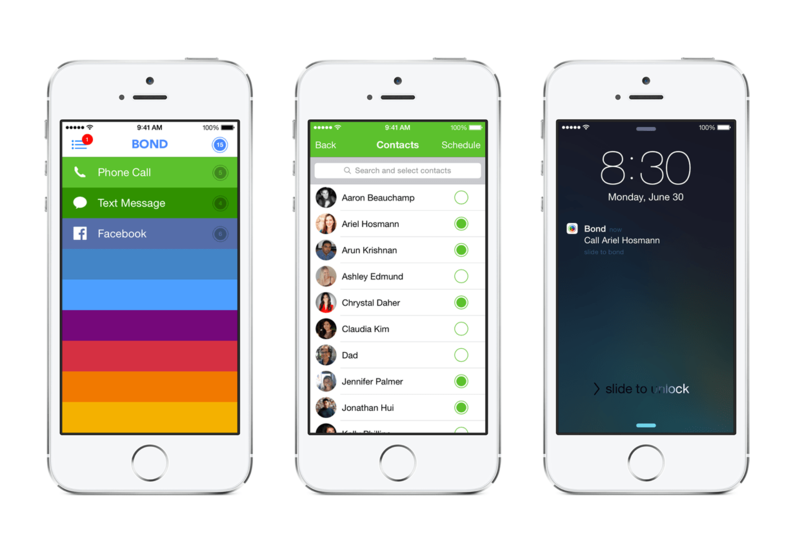 Bond is a simple app that reminds you to keep in touch with people. With an increasing information overload and all their competing priorities, people often find it difficult to stay connected with people that really matter to them. Bond is here to solve this very problem. Further, this app is already catching on in the market as users really like its clean design. They like the simplicity and the ease of use. They also like how the app just does one thing but does it really well. This in itself is the right formula to build a successful app. ‘It was my 30th birthday last year. I got lots of calls, texts and Facebook messages from friends and family. It obviously felt good but I also felt guilty that I was no longer in touch with a lot of them; just because we don’t go to the same school or college any more, live in the same city or work at the same company any more. These were all the people that I was really close to at one point but then life happened, we went in different directions and got so consumed in our new lives that we just completely lost touch. I wanted to change that. I started looking for apps that would help me get better at keeping in touch with people but I couldn’t find anything good. So I put together a small team and we decided to build one ourselves. The result is Bond”, says Manan. Like most start-ups, the initial challenge was to build a strong and good team. However, Manan was fortunate enough to meet these guys through one of his friends from college who introduced them. They liked Manan’s idea and decided to come onboard and well the rest is history. “Then once we launched the app, we started getting some organic traffic everyday but it was nothing too significant. I was also going to a lot of meet ups here in LA trying to get the word out about the app. I was getting pretty good feedback from everyone who saw the app. That was encouraging but I wanted to be able to tell our story to a bigger audience. Press obviously is the first option that comes to mind. 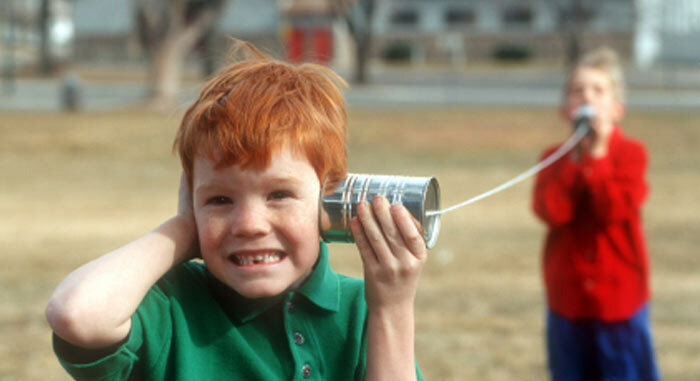 I tried reaching out to a few tech journalists/ bloggers but it was really hard to get their attention. It’s understandable though. They must get tons of requests everyday and it’s impossible for them to look at each and every app that is sent to them. So that approach wasn’t working out. We even considered hiring a PR firm but after talking to a few people we realized that PR was not going to be effective, at least in the initial stage. We had to build some organic growth. So that was our biggest challenge but then we got featured on Product Hunt which really helped us validate the idea and get the initial traction we were looking for”, adds Manan. On Who Their Competitors Are! At the moment, there is no such app in the market that reminds people to keep in touch with friends and family. In the past, there have been some apps that have tried to solve this problem but so far no one has been able to do it as effectively as Bond. Companies like Contactually and Relately do something similar but they are more geared towards helping small and midsize businesses build better relationships with people to get more business. Also, they have really high monthly subscription fees that wouldn’t work for individual users. In addition to above, a potential competitor could be this upcoming app called Accompani. It is still in private beta so Manan is not sure how it’s going to work. However, it sounds like its geared more towards keeping in touch with professional contacts. Bond is meant for anybody and everybody that wishes to be reminded to keep in touch with their loved ones and more. So far the app has received positive feedback and suggestions for features from folks who have been using it. They definitely will be launching their Android version soon as there have been a lot of requests for it. Also the team is super excited to show everyone all the new stuff they are building. When it comes down to monetizing the app, the team decides to keep it simple. They are first looking to grow their user base as they rightfully believe that this is what will naturally get them the required cash flow. Previous articleBreak Messaging Barriers With TapChat! Next articleLiven Up Your Weeknights With BarUp!